Finnish studio Critical Force Entertainment recently named its former chief financial officer Sami Tolonen as its new CEO. He replaced the outgoing company founder Veli-Pekka Piirainen. During Piirainen’s time, the developer had grown its shooter Critical Ops to nearly 60 million installs. In June 2018 the firm raised $6.3 million in funding to scale its esports ecosystem for the game, as well as develop and deploy a scalable and automated production platform designed to speed up development of its games. 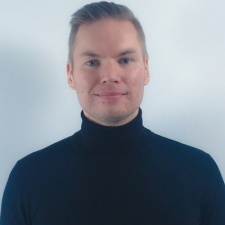 Speaking to PocketGamer.biz, Piirainen’s says he took the decision to step down as he wanted to take more time for himself and take care of his health, having acted as an entrepreneur since 1994. He’s now stepped back to the position of chairman of the board. Where much of Piirainen’s background comes from games, Tolonen steps into the role with years of experience in finance. He first joined Critical Force in January 2018 as CFO. “My decision was easy because Sami is a very energetic, organised and goal-oriented person and full of ambition,” says Piirainen. The move comes at a time when the studio looks to maintain and grow sales from its flagship Critical Ops title. 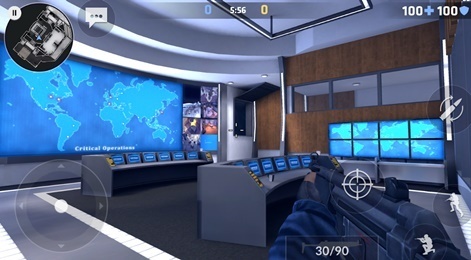 And it faces stiff competition from a more competitive shooter market that includes Game Insight’s Guns of Boom, Madfinger’s Shadowgun Legends and battle royale hits Fortnite, PUBG Mobile and Knives Out. What was once a fairly lacklustre market on mobile has become highly competitive and potentially lucrative. But despite early concerns over the battle royale threat, Tolonen is no longer worried. He adds: “A year ago there definitely was an impact as both Fortnite and PUBG Mobile were launched almost next to each other and a lot of our players were giving the games a try. As the company moves into a new future under a new CEO, Tolonen wants to improve both its business activities as well as ensure as much focus as possible remains on the development of Critical Ops. “With the change of company management, we hope to rationalise the development of our organisation, as well as strengthening our product strategy,” he states. Part of the original announcement of the managerial shakeup suggested a new focus on improving KPIs for the shooter. The studio has already enacted strategies to do just that for the game, first soft-launched in 2015. Last year it implemented its own version of the Battle Pass - which offers better rewards from playing the game if users are willing to spend - called the Critical Pass. It’s an area Tolonen says the studio is keen to improve upon, as it has proven to be a “lucrative opportunity”. “We've been working hard on expanding our product offerings to attract more players with other customisation options beyond just tried and true weapon skins,” he says. Moving forward, Critical Force has plans to continue developing its own mobile esports ecosystem - an area that the company has been pushing for years by participating in various competitions such as the Amazon Mobile Masters. Tolonen also teases there could be other titles on their way in future, though the focus remains on Critical Ops. “We do not yet have anything to share on new projects, but see expanding our product portfolio an important part of our strategic planning,” he says.